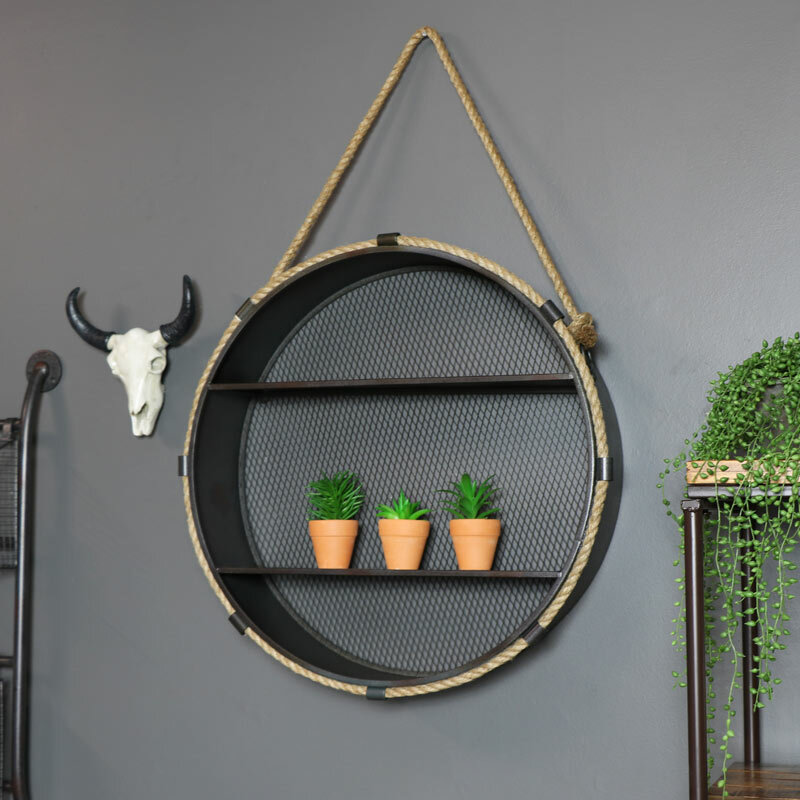 Add some retro, industrial chic to your decor with this practical and incredibly stylish hanging shelf. 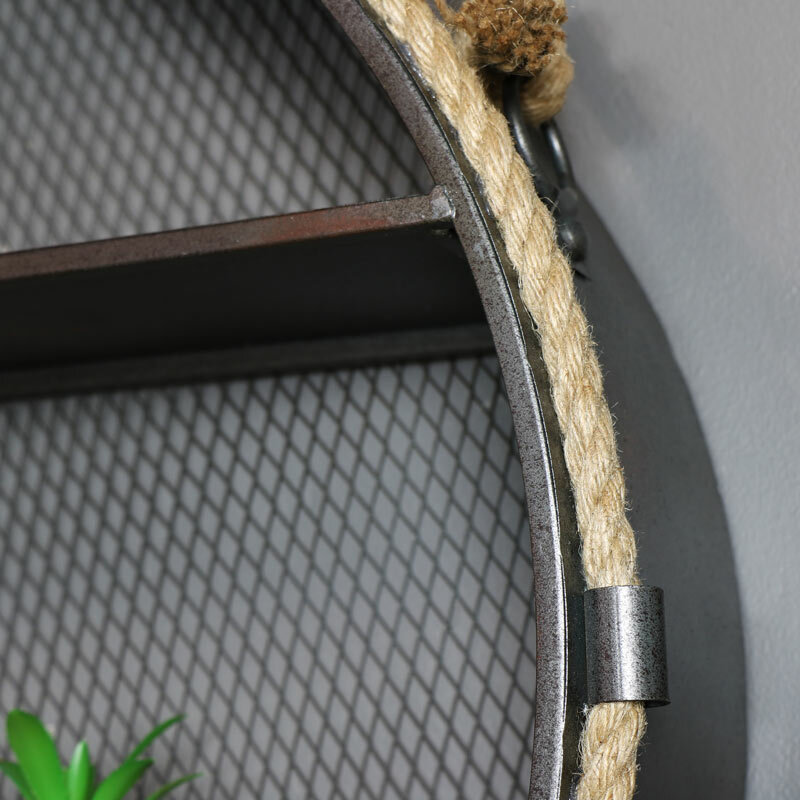 Round metal frame, with mesh backing, in a rustic grey that adds a nautical hint with the rope hanger that will look great in the living room, hallway, bathroom or bedroom. Offering a fantastic look to any room, this shelving unit makes a great statement and gives you the ideal space for placing ornaments, plants and books with 2 shelves. Hangs from a think rope hanger with rope detailing encircling the frame. Team up with other pieces from our furniture and home accessories to create the perfect rustic, industrial look for your home. Add some retro, industrial chic to your decor with this practical and incredibly stylish hanging shelf. 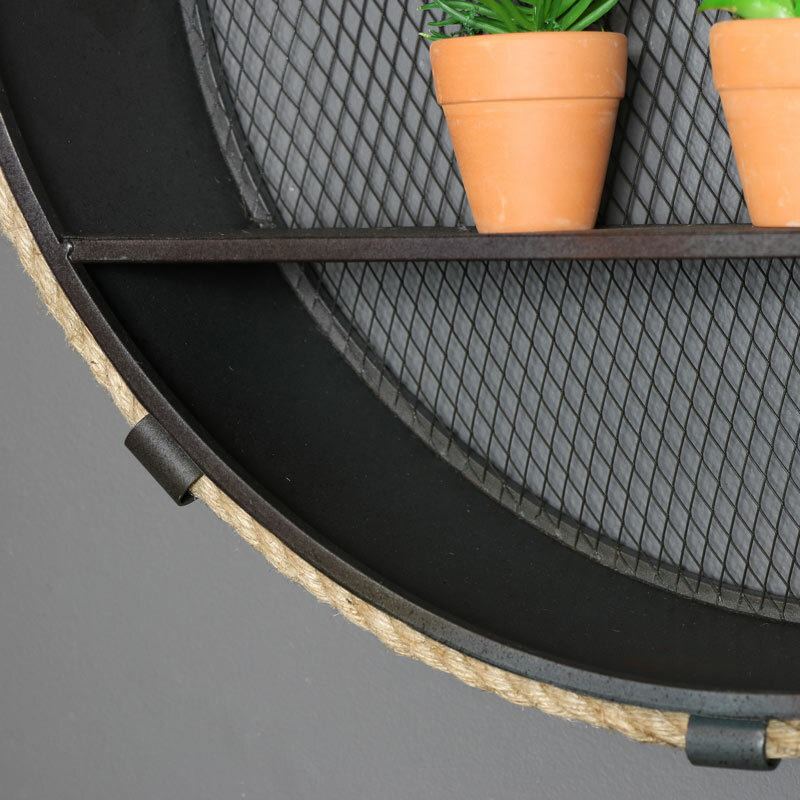 Round metal frame, with mesh backing, in a rustic grey that adds a nautical hint with the rope hanger that will look great in the living room, hallway, bathroom or bedroom. Offering a fantastic look to any room, this shelving unit makes a great statement and gives you the ideal space for placing ornaments, plants and books with 2 shelves. Hangs from a think rope hanger with rope detailing encircling the frame. Team up with other pieces from our furniture and home accessories to create the perfect rustic, industrial look for your home.